…But before we get there, dear Reader, might I suggest we get nice and comfy – with a warm glass of milk at the ready and another plate of gooey chocolate chip cookies – for I feel the Maker’s work is not done, and even we may be changed before it is. 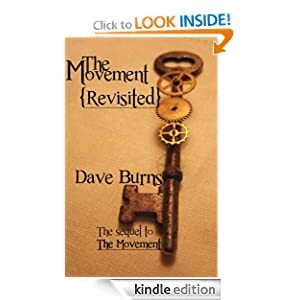 Reading this next installment of The Movement is like being reconnected with old friends. It was good to hear the narrator’s unique voice again! Burns is the Wizard of Wordism! He has so greatly captured the classic feel of storytelling, a world that is not ordinary, and creatures or things that have their own story.